Happy Monday everyone and happy Labor Day! I'm going to make this a quick one today and sort of just get to the point- pesto. Summer is coming to a close, which means (if you're like me) your lovely giant basil plant you had growing ever so nicely on your window sill all season long is....well....dying. Leaf by leaf I sort of watched my lively vibrant green herb plant lose its luster and turn. I couldn't use it's leaves fast enough. Every lunch and dinner had some sort of basil-y component to it. Still I watched parts die. Heart break central. I wanted it all for myself to consume. Come this time of year there are a couple of things you can do to preserve your summer herbs and use them for a little while longer. I chose the pesto route. Basil = pesto to me. Kind of always has. Or caprese. But that's a different story. So, I grabbed my diminishing plant, a few ingredients out of the fridge and pantry and viola- Pesto! It's yummy. It's pesto-y, and it's made with almonds (gasp! )- what I always have in the pantry and just the way I like it. First things first- toast those almonds! 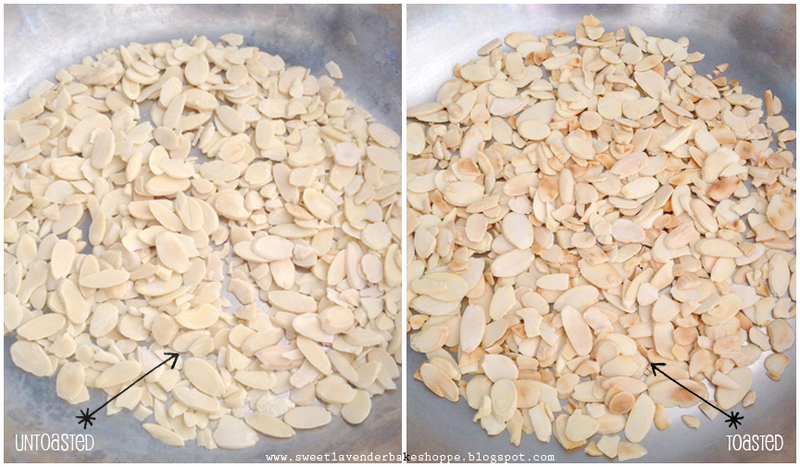 In a dry pan (no oil), over medium low heat, add your sliced almonds. Cook, toss/stirring every few seconds until golden brown and fragrant. Takes about 2-3 minutes :) Watch it though, don't go anywhere- this will happen quick! The oils in the nuts will cause it to burn if you're not careful. Once golden, immediately remove from heat and add to food processor (or blender). In a food processor (or blender) add all your ingredients, except your oil. Pulse/puree until all ingredients are combined. Scrape down sides. With processor running, slowly drizzle in your oil. Puree until thoroughly combined and then add to a glass or plastic air tight container with tight fitting lid. Store in fridge for up to a week! Stir before use, as oil may rise to top. Its great on grilled meats, great on sammies, fantastic on a cheese plate, pizza or pasta dish! Try dipping veggies sticks in it for a healthy dip alternative! 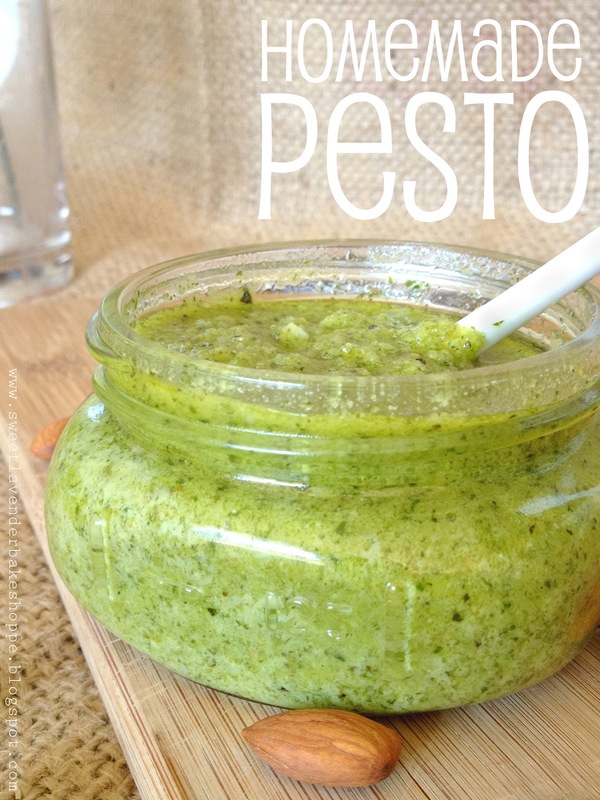 Basically pesto is so versatile you can use however your heart desires!